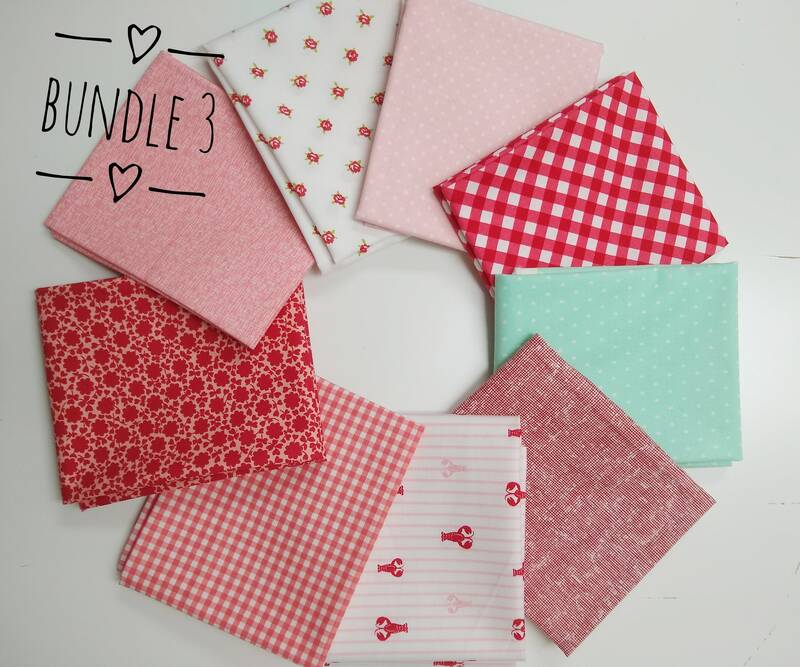 This is a hand curated fat quarter bundle that includes (9) pink, red, and some aqua fat quarters from various different designers and lines. 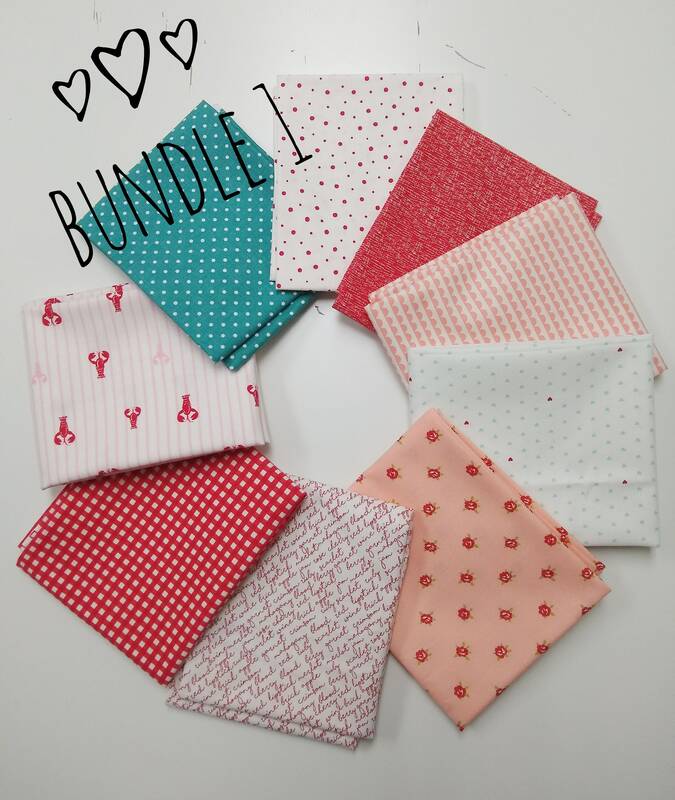 There are (3) different bundles for sale. Each picture is labeled so be sure to select the bundle that you want at checkout.